That effort ended in success, and Speaker Boehner resigned from office shortly after it began. This gave members of Congress more hope that there would be a more open process that fostered debate, transparency, and didn’t punish members for voting with their conscience and the will of their constituents. Then, the 2016 election shook the political world and voters across the country voted to “Drain the Swamp” and end politics as usual in Washington. Momentum was building to end the way each of the two parties ignored the voters, continued with their corrupt process, and spent the country into oblivion along the way. If the 2,232 page omnibus spending bill, H.R. 1625, that was released late last night is any indication, Washington isn’t getting any better. In fact, it is getting much worse. Republicans like to poke fun at Nancy Pelosi for saying members need to pass the bill before they can see what’s in it. If this bill is passed, they will be no better. The bill came out well behind schedule. House leadership was supposed to have released the bill last Wednesday, with an anticipated Friday debate and vote. Instead, they waited an extra week, and loaded the bill with unrelated measures and content that no member of Congress or congressional staffer could ever read in the time between its release and their vote. The package spends approximately $1.3 trillion and spends at the new budget cap levels established by the Bipartisan Budget Act. This will bankrupt the country. For all of the talk about fiscal responsibility, Congress, under unified GOP control, shows no interest in getting their spending levels down. The bill doesn’t prohibit the use of funds for the Gateway rail tunnel project. The lack of a prohibition essentially allows for the appropriation of hundreds of billions for a rail project in New York and New Jersey. Instead of having those states pay, the burden is being placed on the federal government, and thus taxpayers across the nation who don’t want, and will never benefit from such a project. This is just one of many controversial provisions being stuffed into a bill that is considered “must pass” by leadership in order to avert a government shutdown. This is a way to avoid meaningful debate on any of these issues, which include: The CLOUD Act, $2 billion for Amtrak, funding for Obamacare, bailout of union pensions, and many more. Putting that into the omnibus means members will either have to vote for these provisions or risk a shutdown. This is horrible process and denies members the chance to debate them publicly. Speaking of shameful process, House leadership moved to vote on a rule governing debate on the spending bill, H.Res. 796. This rule waived the requirement that it be debated for at least 24 hours and prevented the introduction of any amendments from the floor. The House had enough votes to stop this shameful rule from taking effect, and actually opening the door for a sincere debate. 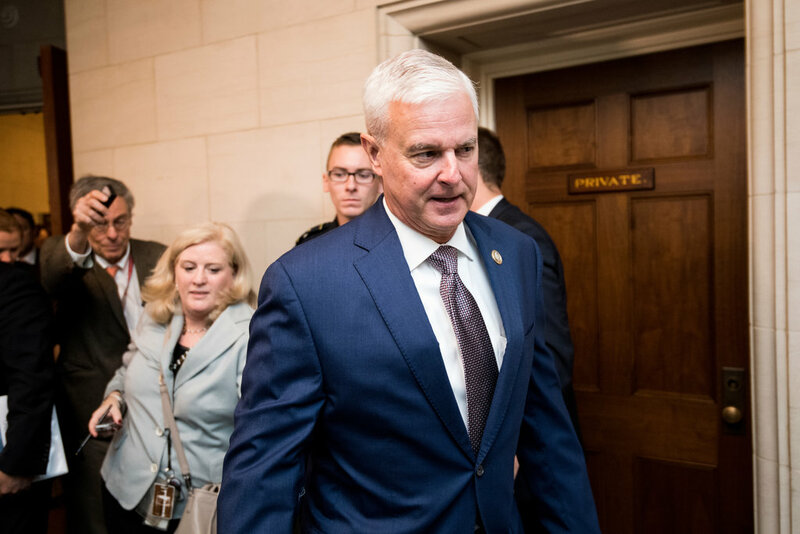 However, during the vote, Rep. Steve Womack (R-Ark. ), Chairman of the House Budget Committee and presiding officer at the time, put an end to the vote while the “yes” votes were in the lead, even as members were still in the chamber trying to vote “no” to the rule. He denied at least a dozen members the opportunity to cast their votes, because he saw that the rule might fail. This is a blatant abuse of the process and he denied scores of Americans their voice in Congress. House leadership is pulling out all of the stops to balloon our debt and shut down meaningful debate on important issues facing millions of Americans. This is not the open process we were promised when we moved to oust Speaker Boehner, and elected an outsider as President of the United States. The will of the people is being ignored, and we will be far worse off in the long run because of it.